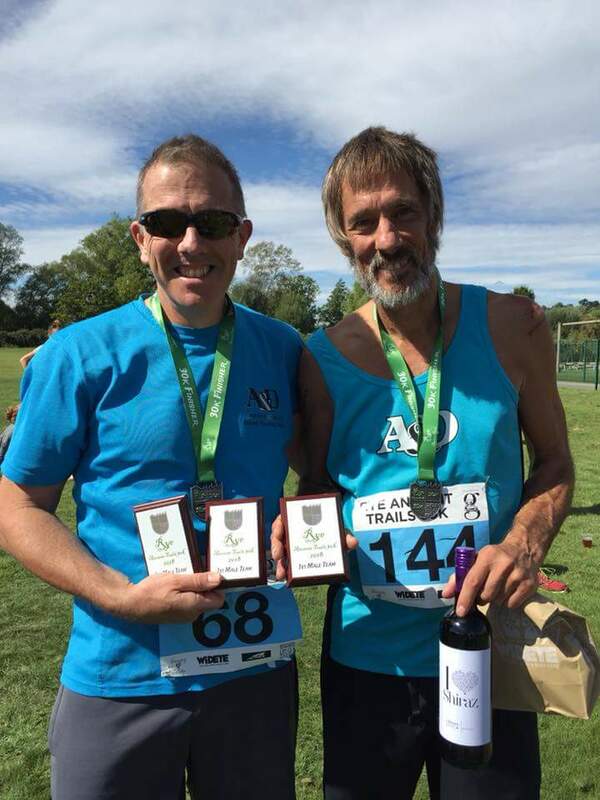 A&D’s Robin Butler finished 3rd in the brand new, multi-terrain Rye Ancient Trails 15k on Sunday with a time of 1hr:12m:14s, meanwhile in the 30k event Andrew Noble finished 5th in a time of 2hrs:32m:13s followed by Paul Ridley, in his 1st race for the club, in 2hrs:45m:30s (17th) and Mark Attenborough just behind in 2hrs:45m:31s (18th). 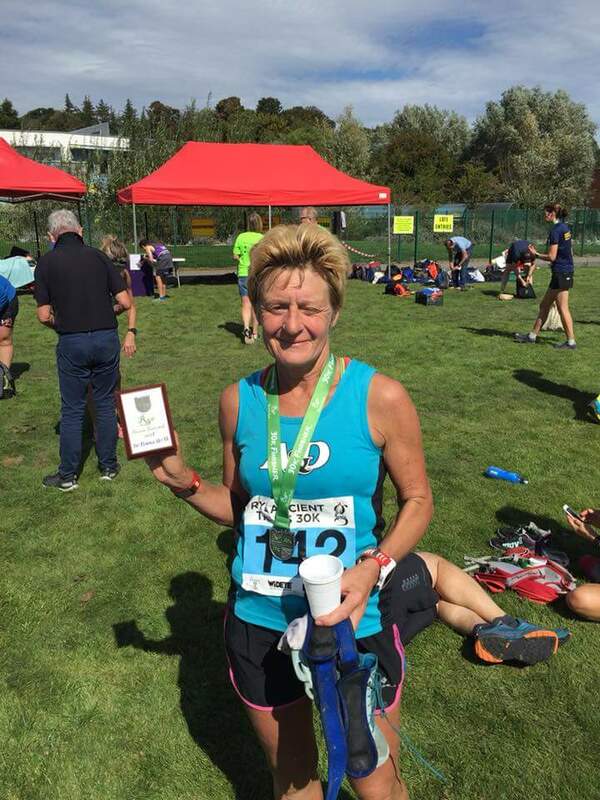 Christine Costiff completed the course in 3hrs:20m:49s with Ingvild Drake in 3hrs:25m:56s and Lucy Johnstone in 4hrs:06m:12s. Steve Hickman completed his 149th marathon on Sunday running the New Forest Marathon in Hampshire. Hickman finished the multi-terrain course in 4hrs:32m:32s. 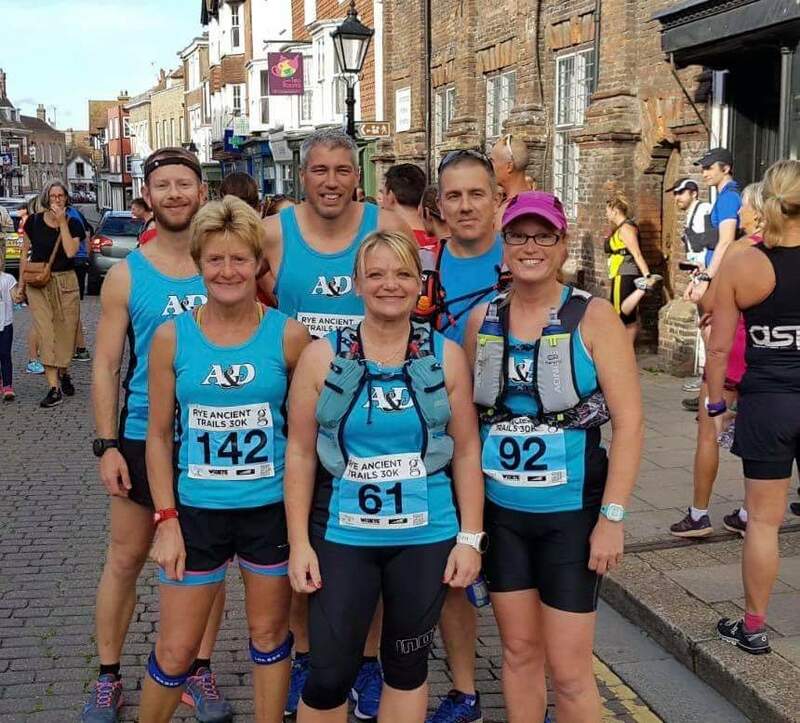 Dave Chappell ran his 1st half-marathon and his 1st race for the A&D RRC on Sunday completing The Great North Run in 2hrs:05m:08s. Adrian Moody and Rhian Shrimplin ran the 20th Eridge Park 10 mile trail challenge near Tunbridge Wells on Sunday. Moody finished in 47th place with a time of 1hr:27m:16s whilst Shrimplin finished in 1hr:44m:03s. It was successful Friday night for husband and wife team, Trevor & Jaclyn Kay, as they set new personal bests at the Rye Summer series. Trevor completed the 5k course in 16m:38s finishing in 6th place whilst Jaclyn crossed the line in 24m:18s. Christine Costiff also ran the course and finished in 21m:39s (36th). Dan Green finished 3rd in the latest Ashford parkrun. Green finished in a time of 17m:53s. Keith Haynes went close to a personal best finishing in 19m:51s (10th) with Andrew Noble finishing in 20m:02s (12th). Chris Boyce crossed the line in 20m:19s (16th), Carl Ireland in a personal best of 21m:03s and Mark Carlton in 21m:41s (31st). 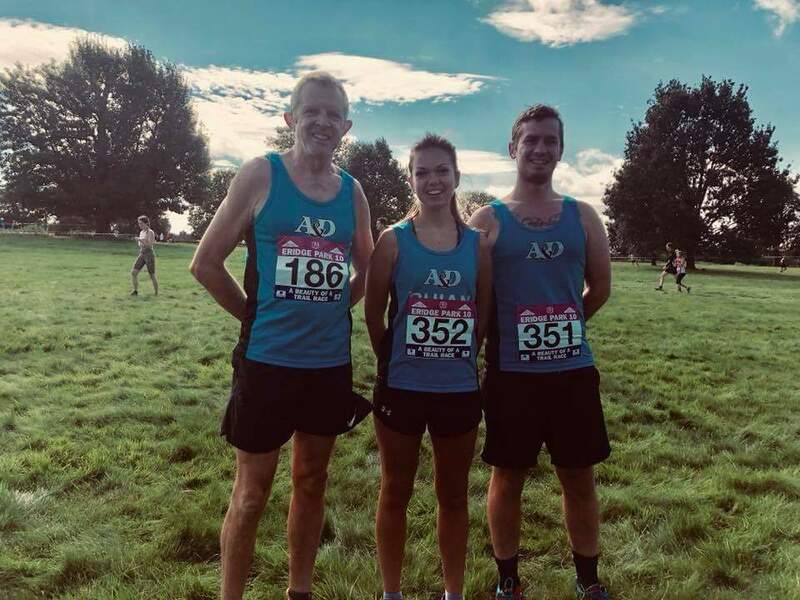 Don Dewar completed the course in 22m:31s (44th), Elodie Paviot in 22m:47s (49th) with Mark Attenborough and Rob Carpenter in 22m:59s and 23m:00s respectively. Will Whittington was next up in 24m:59s, Keith Lynn in 25m:36s, Chloe & Claire Green in 25m:59s and 26m:01s respectively, Trevor Sparkes in 27m:47s and Emma Jenkins in 33m:19s.